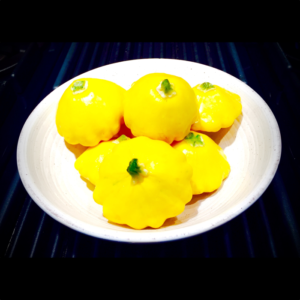 I love this recipe because I love squash and am always looking for new ways to prepare my veggies! Start by washing and drying your baby squash. 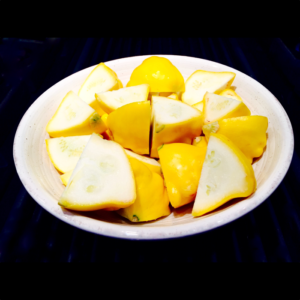 Cut each baby squash into quarters. Place all of the ingredients, except the goat cheese, into a 10 inch skillet pan including the juice from one fresh lemon. Cook uncovered over medium/low heat, mixing occasionally, for approximately 30 minutes or until the squash is tender so you can easily press into it with a fork. 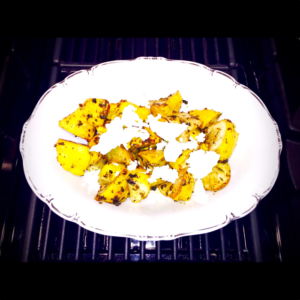 Remove the squash from the pan and once it is plated add big chunks of goat cheese over the top. Now your dish is ready to serve. Gluten-free, vegetarian, and easily vegan if you leave off the cheese!